Next year will see the World Wide Web celebrate its 30th birthday and, inevitably, there will be plenty of focus on its founder Tim Berners-Lee. With the web having changed the way we live forever, and more than half the world’s population expected to be online by the middle of next year, it would be have been easy for Berners-Lee to sit back and enjoy the fruits of his creation. But in actual fact, he is still incredibly busy and spends a large part of this time advocating for greater freedom and privacy online. Speaking at the Web Summit in Lisbon earlier this week, Berners-Lee outlined his vision of how internet freedoms can be preserved both now and in the future. His suggestion is a ‘Contract for the Web’ which he hopes that governments, companies and citizens will sign up for and contribute towards. This contract is essentially a framework for how Berners-Lee believes the internet can be made available to 100% of the world’s population and their online freedoms can be protected at the same time. It requires governments to commit to ensuring that their citizens have full access to the internet at all times and also respects their right to privacy. It would also require tech companies to keep similar standards and seek to innovate in ways that are for the betterment of all humankind rather than just their shareholders. 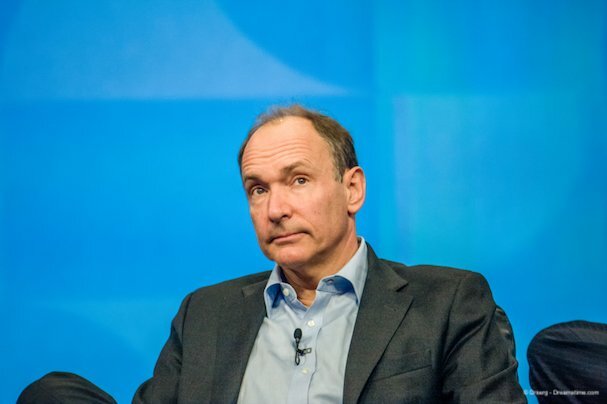 “Each party is going to have to commit to solidifying and living by some values, tweaking the way they work and increasing their trustability and the extent to which they trust other people,” Berners-Lee explained. If such a contract sounds rather fanciful, especially in the current climate then you would be wise not to underestimate the man who invented the World Wide Web in the first place. Through the Web Foundation, an organisation he founded to promote the improvement and availability of the World Wide Web, Berners-Lee has already made real progress. The contract is not expected to be finalised and ready to sign until the middle of next year, but he has already secured the backing of some notable names. The French Government are the first government to back the idea, while Google and Facebook are the highest-profile names among a host of tech companies to indicate their support. Other backers, even at this early stage include individual politicians, NGOs, and many digital rights campaigners. Obviously, if the contract is to be a success it needs to reach much farther than this, but Berners-Lee is optimistic. When asked who else he wants to sign the contract, his answer is, quite simply, everybody. “It’s all about everybody talking together,” he says. By creating a contract which everybody agrees on, Berners-Lee hopes to make everybody accountable to everybody else. In other words, all signatories, from Governments and tech companies to individual internet users would have a role to play in upholding the agreement. He also sees this collaboration as being crucial to shaping the contract now and evolving it to meet future technological developments. Berners-Lee envisages working groups and discussion forums including people from all walks of life who can have a say on matters of fundamental importance to the future of the internet, such as accessibility, anonymity, privacy, fake news, and hate speech. It is a bold vision for the future, but also an optimistic one. While companies like Google and Facebook will see the PR value in supporting it, whether they will embrace the spirit of such a contract is more questionable. The question of how regimes such Communist China could be enticed into joining also remain unanswered. It is hard to envisage a time when everyone would be willing to sign up for such a contract and even harder to see a time when everyone would abide by it. But Berners-Lee deserves credit for the proposal and for his persistence in trying to improve the World Wide Web and deal with the online issues which are causing so much strife around the world. He is also shining a light on the need for people’s online rights to be protected and starting an important debate on how this can be achieved. Even that small step can only be a good thing. Berners-Lee is also currently one of the driving forces behind a new decentralised web project which is being pioneered by researchers at Harvard. This technology, which is being built on blockchain, appears to have a far greater chance of increasing online freedom than any contract he may devise. But as we approach the World Wide Web’s 30th anniversary, it is clear that its founder is determined to play a role in shaping its future.